Why not reveal a car in a video game, especially if it's as detailed as the PlayStation 4's upcoming Driveclub? That's exactly what Mercedes-Benz just did with the AMG-ified version of their CLA sedan. You may remember the CLA from such Super Bowl commercials as the one with Kate Upton and also Kate Upton. Now Mercedes is unleashing a significantly more badass version of that car, but one that keeps its good looks. The CLA45 AMG is set to have a turbocharged 2.0-liter four cylinder engine good for 360 horsepower and 332 pound-feet of torque. Mercedes claims this will be the most powerful four-banger in series production today. Power will go to all four wheels when it goes on sale in November with a price tag of just over $50,000, according to Car and Driver. Not bad at all. 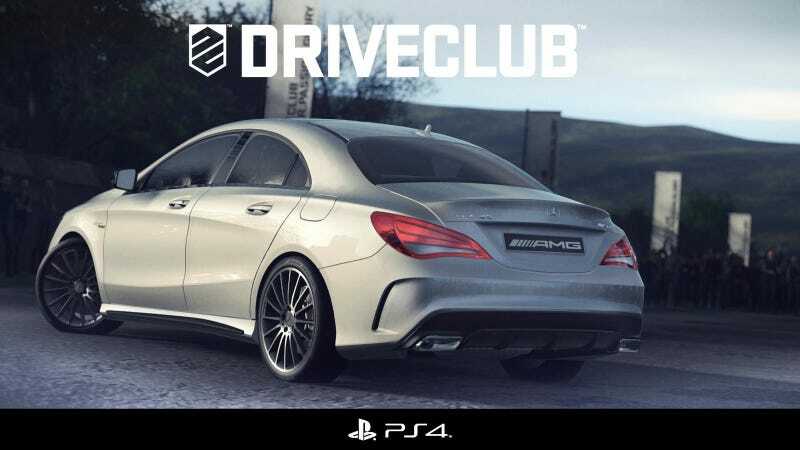 The CLA45 AMG, and the smaller A45 AMG hatchback, will both be playable cars in Driveclub. Those of us who want to see photos of the real thing will have to wait until it debuts at the New York Auto Show next month.